Several months ago my friend Mary Gaetjens asked me to drive with her to a retreat in Idyllwild, California. At that moment, I was feeling way too attached to my schedule, and I knew it was time to get away from my to-do list. Sometimes just the right thing arrives at just the right time. It was perfect. The photo above is of one of the 12 women I shared this extraordinary time with. I had forgotten how deeply restorative a retreat can be. There is so much more I want to say about this adventure, but for now, I think the photo pretty much sums up the whole experience. Click here to find out more about the Sound and Silence Retreats. This August, I attended the 2014 Healing Touch Worldwide Conference in Schaumburg, Illinois. There were over 350 Healing Touch Practitioners attending from all over the world, including Canada and Japan. There are many parts of the conference I plan to write about, but the most profound was the transition of our respected elder, leader and cherished community member, Sharon Robbins, RN, HN-BC, CCHt, HTCP. Sharon Robbins was the Executive Director of the Healing Touch Professional Association. She started as a Holistic Nurse in private practice offering Complementary and Alternative Medical therapies to her clients. She began studying energy medicine in 1992 and became a certified Holistic Nurse and certified Healing Touch Practitioner in 1998. Sharon was the Chair and/or Co-Chair of the HTI Business Council from 2001 to 2007 and was a Board Member of Healing Touch Worldwide Foundation, Inc. since 2006. Sharon Robbins also founded Healing Touch California with a small group of other Healing Touch practitioners. I became aware of Sharon Robbins as soon as I realized there was this vast and supportive Healing Touch Community. I did not know Sharon well personally, yet I felt greatly supported by her work, deeply touched by her death and immensely inspired by her life. Sharon modeled professionalism. As a healer, being professional provides the guidelines I need to bring energetic healing into the world, as well as how to present myself to our medical culture. Professionalism has brought great clarity to my work as a healer. When I had any questions about how to approach a healing situation responsibly, the first person I called was Sharon Robbins. At the conference on Friday morning, Sharon was dressed as an angel. She brought angel wings to wear in a skit on ethics in our healing practice. She was the fairy godmother in the skit, who came down to give guidance to a beginning healer. After breakfast on Sunday morning, Dawn Warnaca bravely and beautifully announced to all 350 of us that Sharon had made her transition overnight. When I fully realized what Dawn was saying, it felt like the floor just dropped away and the ceiling opened up. Soon there were pictures of Sharon with her angel wings, on the projection screens in front of us. It was so surreal. Sharon was so ALIVE on Saturday. I have never experienced someone so fully engaged and present in the moment, suddenly just vanish. Sharon always had perfect blond hair that reflected light well. She was literally shining the day before. Throughout the rest of Sunday, Cynthia Hutchinson (Healing Touch Program Director) and Lisa Mentgen-Gordon (CEO of Healing Touch and the Healing Touch founder’s daughter), shared more about Sharon and the rituals that they had honored her with early that morning. They were obviously heart-broken over losing someone they had loved and worked with so closely over the last 20 years, yet so professional and sensitive in the handling of the situation. I cannot imagine the shock and grief they felt that morning. My heart, that Sunday, just opened up. I will never take another day in my life for granted. Even now, as I write this blog post weeks later, I can still feel the energetic shift is now a part of me. It now almost feels like a blessing. Life is so precious. When I put all my emotions and sadness aside, I can see the beauty that in her last day on earth Sharon was surrounded by over 350 Healing Touch Practitioners and friends, celebrating what she loved. Thank you Sharon, for all the energy, commitment and love you poured into our Healing Touch Community. I will benefit from it for the rest of my life and will do my best to carry your spirit forward in my Healing Touch work. On July 28th, 2013 Mary Gaetjens and I will be co-facilitating a Clarity Breath Workshop with vocalist and musician Cait McWhir. We will have a morning breathe, followed by a healthy, nurturing lunch, and then a second breathe in the afternoon. If you have ever experienced a Clarity Breathwork session before, you know how life changing one session can be. Now is your chance to do two sessions in one day! This will allow you to reach even deeper states of consciousness and healing to create real and lasting change in your life. This will be a very beautiful and transformational day. 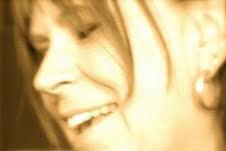 Cait, a practitioner of Sound Yoga, will help guide us into a profound and sacred space before each breathe utilizing vocalization with ‘bija seed syllable’ sounds and toning. These sound vibrations and resonances will help awaken, clear and expand the level of awareness within our bodies and energy centers. Cait McWhir, originally from Northern Ireland, is a vocalist and musician who has been exploring music and sound from around the globe for most of her adult life. She is also a founding member of the world music trio Bindi Society. On July 27th, 28th and 29th, I will be co-facilitating three TaKeTiNa and Clarity Breathwork evenings with James Word, Mary Gaetjens, and Natalie Word. 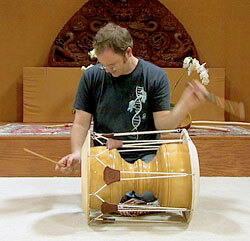 The four of us have been exploring the synergy of rhythm and breath to experience heightened states of consciousness. We are very, very excited to share these powerful modalities with you. The Clarity Breath Circles we have done doing TaKeTiNa before we breathe have been incredibly profound for those who have participated. Being able to do three nights in a row will be especially powerful as each evening energetically builds on the one before and take us deeper each night. This workshop will deeply connect you with your inner guidance and integrate that guidance so you can manifest you highest intentions in your daily life. If you are interested in transformation, and balancing that shift on every level – emotional, mental and physical – this workshop is for you. You can do one evening or all three. The cost is $35.00 for each evening and $90.00 for all three. At aMFa Gallery 1318 10th Street (at Gilman). Call me at 510-601-9632 to reserve a space. I’m excited to announce that on May 12th and 13th I will be co-facilitating a TaKeTiNa and Clarity Breathwork with Mary Gaetjens, Natalie Word, and James Word. This will be a weekend that will take all of us to higher states of consciousness and help us energetically integrate that consciousness into our daily lives. This is a wonderful opportunity to be in community with people who are focused on growth, balance and alignment in these evolutionary times. This weekend will create healing on many levels. James Word is the first TaKeTiNa teacher in the U.S. to be trained at a senior level. Mary Gaetjens is an experienced and gifted Clarity Breathwork Practitioner and Natalie Word is currently training in TaKeTiNa and will be playing the surdo (a large bass drum) during the TaKeTiNa journeys. Natalie and James have been coming regularly to the Breathwork Circles Mary and I have been holding each month. Last summer we organized a TaKeTiNa journey right before a breathing session and we were blown away at what a powerful experience it was. That’s when we came up with the idea of a longer workshop. Clarity Breathwork is a practice of circular, connected breathing that raises the vibration of the body and energy field, thus releasing stress, physical tension, trauma and mental blocks. Breathing is a safe and effective method of creating deep healing in your life. The Workshop will be held in Berkeley, close to Solano Avenue. Each day we plan to do two Clarity Breathwork Sessions and two TaKeTiNa Journeys. No previous experience required. Call 510-601-9632 for more information and directions. I have always loved breathing with other people. Right after I started doing private Breathwork sessions with Maggie Ostara, I also went regularly to her monthly Breathwork Circles. The energy of a group helped me to release on different levels than I processed in my private sessions. When Maggie has moved to Sebastopol, I really missed her community Breathwork Circles. 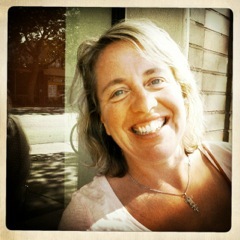 So I decided to start my own Breathwork Circles in Emeryville with Mary Gaetjens. Mary and I had started trading breathwork sessions and after about six months we were so excited by our work together that holding Clarity Breathwork Circles just seemed like the next logical step. We have been doing Breathwork Circles together for over a year now, and I am delighted at how much fun it is. I have to say I was a little nervous when Mary and I started out. Holding space for any kind of a group used to drain me, unlike my one-to-one work, which always energised me. I found that holding a group space with Mary is extraordinary and fun. Mary is very psychic, although she thinks of herself as an empath. I tend to be more grounded, although there have been circles when we have flipped roles and Mary was more grounded and I felt more connected to the higher frequencies. Holding such a large sacred space with someone else who is so intuitively gifted is a blast. It’s amazing how every Circle is so different. Every Monday night each circle has it’s own special quality, weather, and phase of the moon. Every person that comes to breathe also brings their special essence with them and that is really what creates the special energy of each circle. Sometimes everyone breathing seems to be in some kind of sync with each other and sometimes everyone is having a uniquely different experience. Some Breathwork Circles are more like a deep meditations and some are more about physical release. We have been breathing in the same space since we started the Circles and I have noticed the space is already “set up” energetically when we get there. There have been times I have walked into our space the night of the Circle and the energy seems to lift me up, as if the invisible realms have already arrived. I really think that regular meditative work like breathwork, yoga and meditation gains a kind of energetic momentum that builds on itself when done in community at regular intervals. 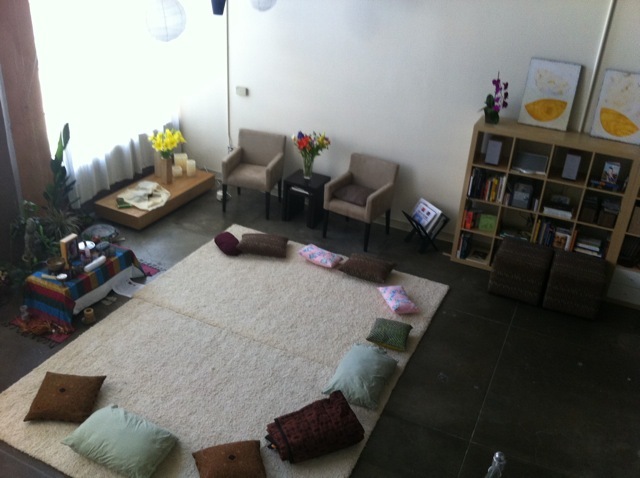 If you want to try Clarity Breathwork our next circle is Monday, 3/5/12. Breathing is done lying on the floor so bring what ever you need to feel comfortable: blanket, mat, or pillows. We start the circle at 6:30, we are done by 9:30. Mary is doing a free yoga class before the Circle at 5:30. Call me at 510-601-9632 to make reservations. We keep the circle to 12 or less and we have been filling up fast so call as soon as you can. 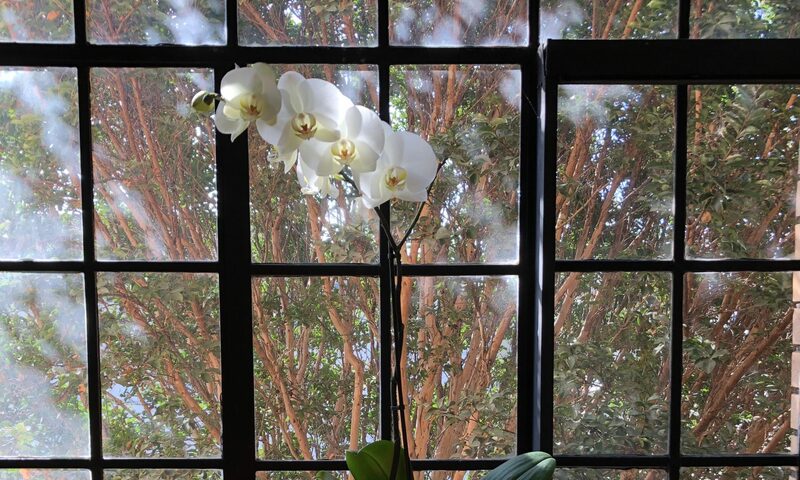 It would be great to have you breathe with us!